shared with or any organization not owned and operated by SSI, or any individual not acting on behalf of SSI. If at any time, the User believes that SSI has not adhered to these principles, please notify us by email and SSI will use all commercially reasonable efforts to promptly determine and correct the problem. 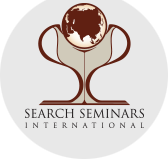 All contents of this web site are: Copyright © 2015 Search Seminars International , Inc. and/or their suppliers. All rights reserved. Macromedia Inc./Adobe Systems Inc., Shockwave, Flash, and any other company or product names owned by Macromedia, Inc./Adobe Systems Inc. referenced herein are trademarks or registered trademarks of Macromedia, Inc. Adobe Systems, Inc., Adobe Acrobat Reader, PostScript, and any other company or product names owned by Adobe Systems, Inc. referenced herein are trademarks or registered trademarks of Adobe Systems, Inc. Other product and company names mentioned herein may be the trademarks of their respective owners.